Congratulations to Roberta Capello who is the winner of the 2018 Kohno Prize. Roberta Capello is Full professor of Regional Economics at Politecnico of Milan, Faculty of Building Engineering. Congratulations! Congratulations to Juan Ramón Cuadrado-Roura who is the winner of the 2017 Kohno Prize. Cuadrado-Roura is Founder Director of the Institute for Economic and Social Analysis (IAES) and Applied Economics Professor at the University of Alcalá. Congratulations to Folke Snickars who is the winner of the 2016 Kohno Prize. Snickars is Professor of Regional Planning at the KTH Royal Institute of Technology, Sweden. 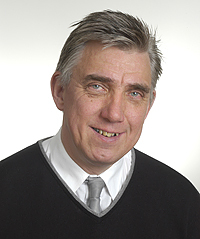 The research of Folke Snickars concerns theoretical and methodological aspects of infrastructure economics, regional systems analysis, and regional planning. Congratulations! 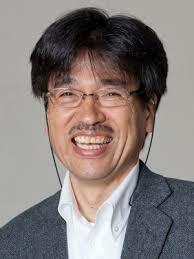 Congratulations to Yoshiro Higano who is the winner of the 2014 Kohno Prize. Higano is Professor of Environmental Policy, Doctoral Program in Sustainable Environmental Studies, Graduate School of Life and Environmental Sciences, University of Tsukuba. Japan. He specializes in Comprehensive Environmental Evaluation, Environmental Remediation Technology Assessment and Environmental Policy. Congratulations! Congratulations to Robert Stimson who is the winner of the 2013 Kohno Prize. 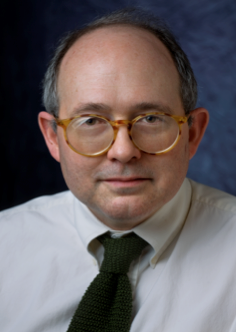 Bob Stimson is a quantitative human geographer and regional scientist. He has been teaching and conducting research in universities since 1965. He retired from the University of Queensland in January 2011. Congratulations! Congratulations to Jean-Claude Thill who is the winner of the 2012 Kohno Prize. Jean-Claude Thill is currently the Knight Distinguished Professor of Public Policy in the Department of Geography and Earth Sciences at UNC Charlotte, and he has held past positions at the University at Buffalo, the State University of New York and the University of Georgia. Congratulations! Congratulations to Graham Clarke who is the winner of the 2011 Kohno Prize. Graham Clarke is Professor in School of Geography, University of Leeds since 2004. Congratulations! The third winner of the prestigious Hirotado Kohno award, for outstanding service to the regional science community, was announced at the ERSA conference in Sweden. 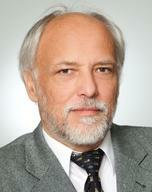 The award of the 2010 Kohno Prize went to Gunther Maier of WU Vienna University of Economics and Business. Congratulations to Lay Gibson who is the winner of the 2009 Kohno Prize. He is based at the University of Arizona. Congratulations! RSAI is delighted to announce the winner of the 1st Kohno Prize, Kieran Donaghy of Cornell University for his many contributions to RSAI, PRSCO and the Western Regional Science Association. His principal contribution came as Executive Director of RSAI (1997-2002). At the time he was at the University of Illinois at Urbana-Champaign. Congratulations Kieran! The Award honours and thanks a member of the RSAI who has provided long and outstanding service to the development and organization of Regional Science and to the development and management of RSAI at the International and/or Supra-Regional, including an outstanding contribution to the development of Regional Science at the Local Section level. 2.1 The Award is established to recognize and honour the outstanding service contribution Professor Hirotada Kohno has made to the Regional Science community, and especially his role in the development of PRSCO and the Japan Section of RSAI. 2.2 The Award recognizes outstanding service to the RSAI has incorporated service extending beyond the local level and which incorporates service of an international nature. 2.3 No more than two (2) Awards may be given in any one calendar year. 2.4 Awards will be presented at one of the three RSAI super-regional meetings/conferences (NARSC, ERSA, PRSCO) or at the RSAI World Congress. 3.1 In the last quarter of each calendar year, the RSAI Executive Director will contact the RSAI Council, the Councils/Boards of NARSC, ERSA and PRSCO, and the Councils/Boards of all affiliated RSAI Sections, calling for written nominations of potential candidates for the Hirotada Kohno Award for Outstanding Service to the RSAI. 3.2 A nomination of a candidate for consideration for the Award must be made in writing by the President and/or Secretary and/or Executive Officer of an official body within RSAI - that is, the RSAI itself; NARSC, ERSA, PRSCO; or a Section of RSAI. 3.3 A written nomination of a candidate for consideration for the Award must include a detailed statement of the nature of the service contribution a candidate has made to RSAI. It must explain how and why that service contribution of the nominee meets the goal of the Award. It should contain testimonials from at least three persons who have held high office and/or currently hold high office in the organization within RSAI that is making the nomination. It must be demonstrated that the long and outstanding service of the nominee extends beyond the local Section of RSAI in the case where a Section of RSAI is initiating the nomination. 3.4 Nominations for the Award are to close by the end of January the following calendar year. 4.1 In the last quarter of each year, a four person Jury will be named by the RSAI Council to consider nominations for the H. Kohno Award for Outstanding Service to the RSAI. 4.2 The Jury shall comprise the current RSAI President, one current member of the RSAI Council, and two Past Presidents of the RSAI. 4.3 The Jury will convene (in person and/or by email/teleconference) after January in the following calendar year. 4.4 The Jury will evaluate the nominations received and passed onto it by the RSAI Executive Director. The Jury will submit its recommendation(s) to the RSAI Executive Director by the end of March in that year. 4.5 The recommendation will then be communicated by the RSAI Executive Director to the members of the RSAI Council, with Members of the Council having two weeks in which to inform the Executive Director of any dissent they may have regarding the recommendation. 4.6 If more than one-third of Council members expresses their dissent regarding a recommendation for the Award, then the recommendation will lapse. 4.7 The President and/or the Executive Director of RSAI shall inform the person(s) recommended for the Award before the end of June in that calendar year. The awardee(s) will be invited to attend one of the Supra-Regional (NARSC, ERSA, PRSCO) meetings or the RSAI World Congress to receive the Award.